Yep, you know you have seen a dozen or more.. online sporting goods stores. Big Whoop! What makes these page on Total Escape diffferent? Well first off, we list all the coolest gear at the best prices we could find on the web. We don't have any corporate dollars behind us - forcing us to promote one certain brand or store over another. Third, every season we are always finding the new stuff, testing it out & letting you know on these pages. Shop for your travel & outdoor gear online, instead of wasting time driving around town all week trying to find that perfect item. Check the entire web site specials, clearance &/ or sales. You don't wanna miss these bargains, cuz good deals on outdoor gear go very quick. Compare the total cost (shipping cost & taxes) to what you might spend at a local retail store to make sure you are getting a bargain online. Check the store website return policy or guarantee. Call the phone number in advance to make sure there is someone to answer your possible questions if & when you do have a problem with your order. 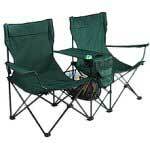 Sporting Goods & Camping Gear: Some places carry outdoor gear that are not sporting goods stores. Certain store may be more geared toward fishing, hunting, or team sports. 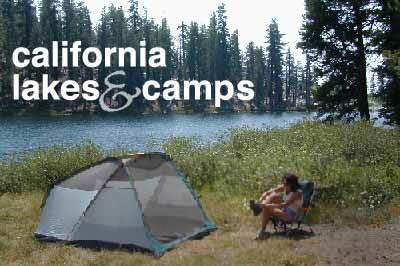 Other big box stores carry plenty of camping basics. Large scale drug stores can stock outdoor gear, usually only seasonally. REI store - Recreational Equipment Inc.